Welcome to Stephens Family Law. 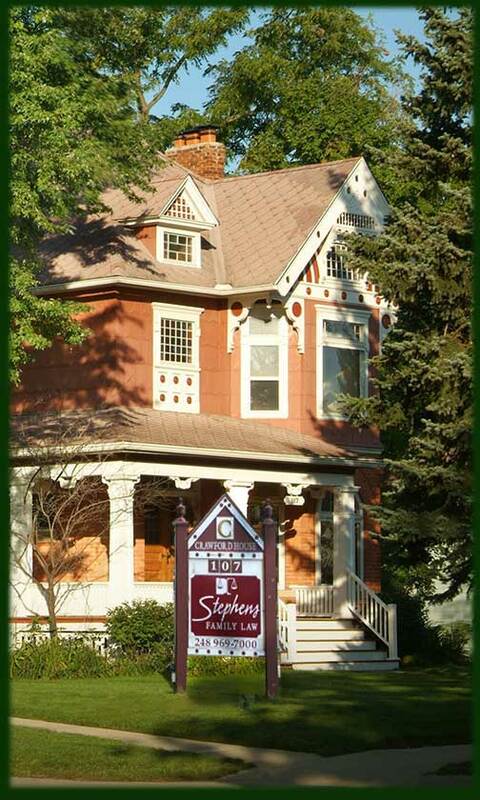 At Stephens Family Law, our mission is to provide quality legal support and counsel to our clients. We have a reputation for thoroughness and preparedness that is widely recognized and respected in the legal community. We work together, with the client, to achieve the most successful client outcome. We are committed, experienced lawyers who take our responsibilities seriously; knowing that the results we achieve for our client will have a lasting impact on their lives. We assist our clients in the following practice areas: family law, which includes divorce, custody, parenting time and child support; spousal support; division of the marital estate, estate planning and guardianship and conservatorship matters. ● Giving our clients the attention they deserve. ● Explaining all options to help clients make an informed decision. ● Giving clients as much time as needed to speak with us. ● Keeping clients informed about the status of their case. ● Looking out for our clients' immediate needs and long term interests. ● Prompt return of phone calls. © Copyright 2014 by Stephens Family Law. All Rights Reserved.